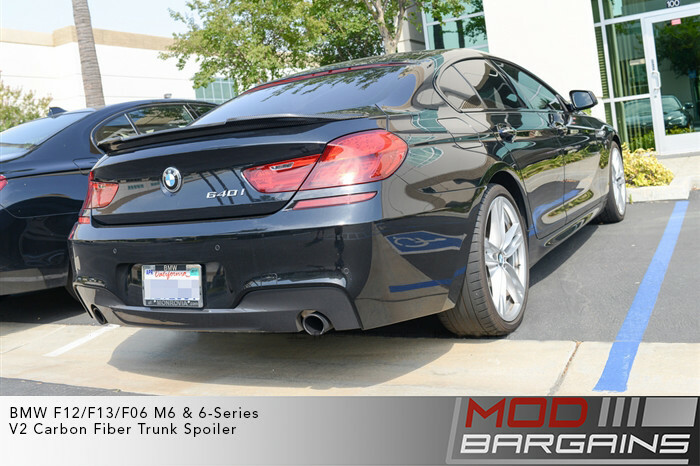 This Carbon Fiber Trunk Spoiler is the perfect addition to your 6-Series or M6 to give it that aggressive look you want with added performance benefits. 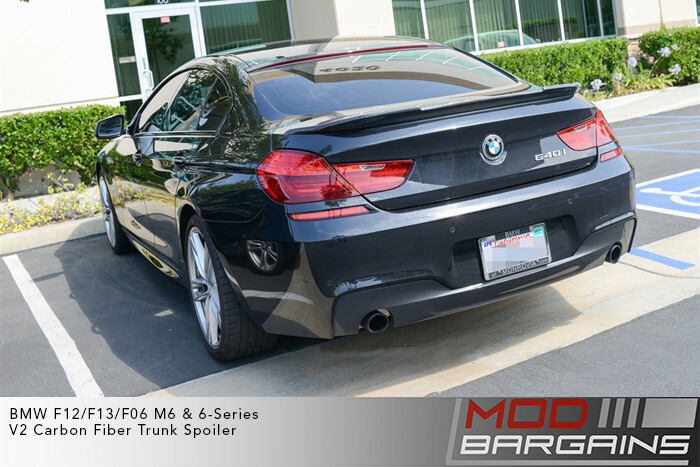 The carbon fiber trunk spoiler sets you apart from boring stock 6-Series owners. The eye catching design and high class carbon fiber is sure to draw attention. Feel more confident at high speeds with improved stability and down force. Carbon Fiber aero parts are a signature look of high end luxury cars and sports cars. While we all know the 6-Series should have come with some CF goodies, there is not reason you can add them yourself and really take this grand tourer to the next level. 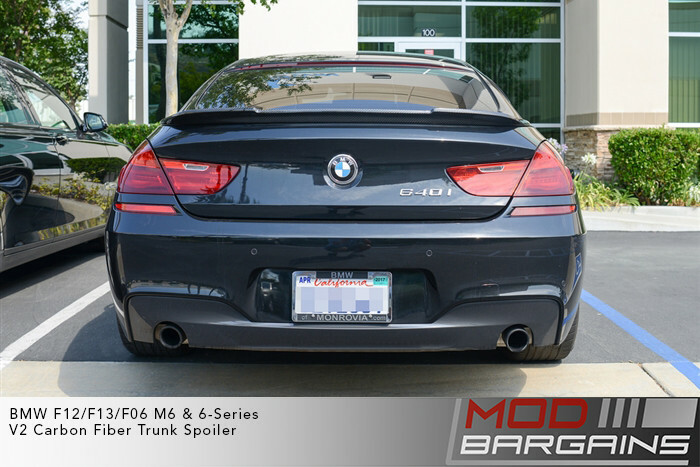 This Carbon Fiber Trunk Spoiler is the perfect addition to your 6-Series or M6 to give it that aggressive look you want with added performance benefits. 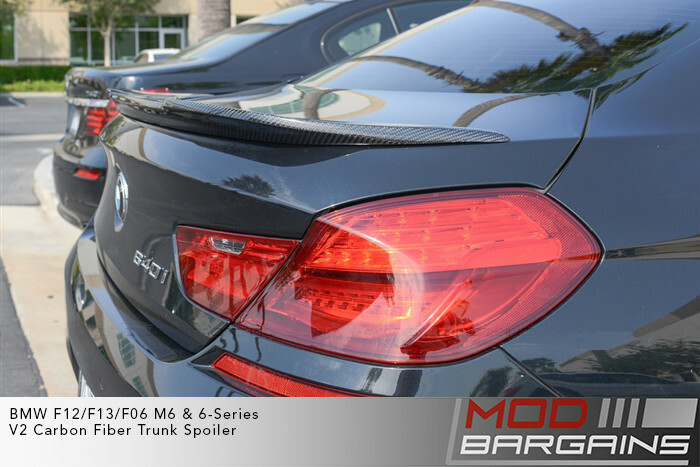 Please contact us if you have questions about the Carbon Fiber Trunk Spoiler for your 2012+ [F13/F12/F06] 6-Series or M6.